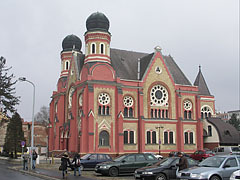 The Byzantine revival style former jewish house of prayer (temple) is now a concert venue and exhibition hall. 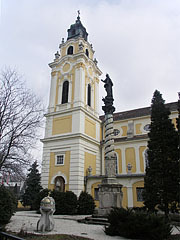 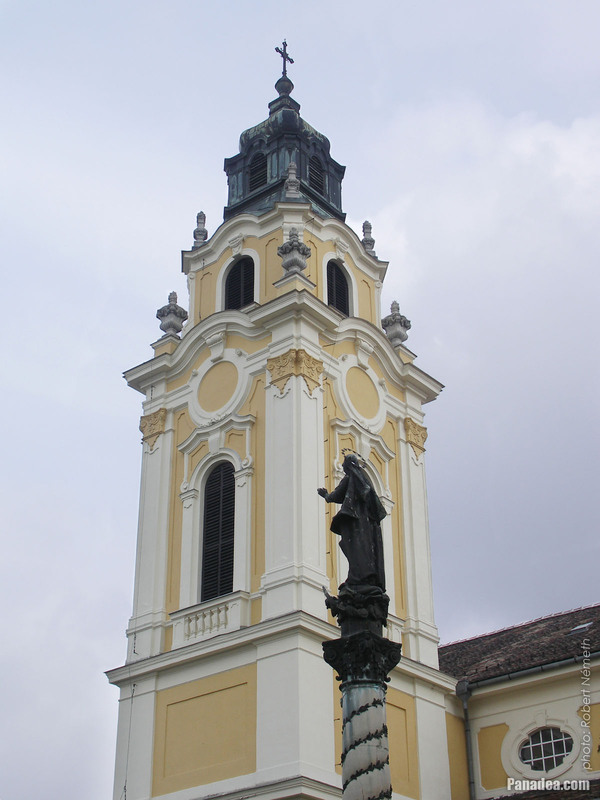 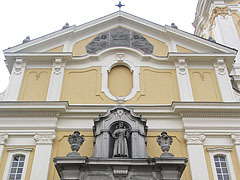 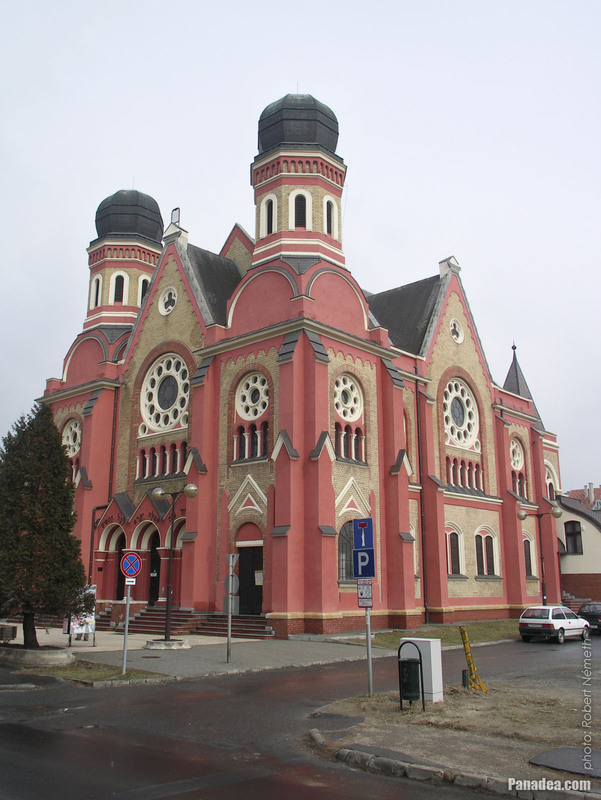 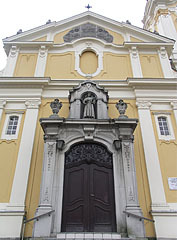 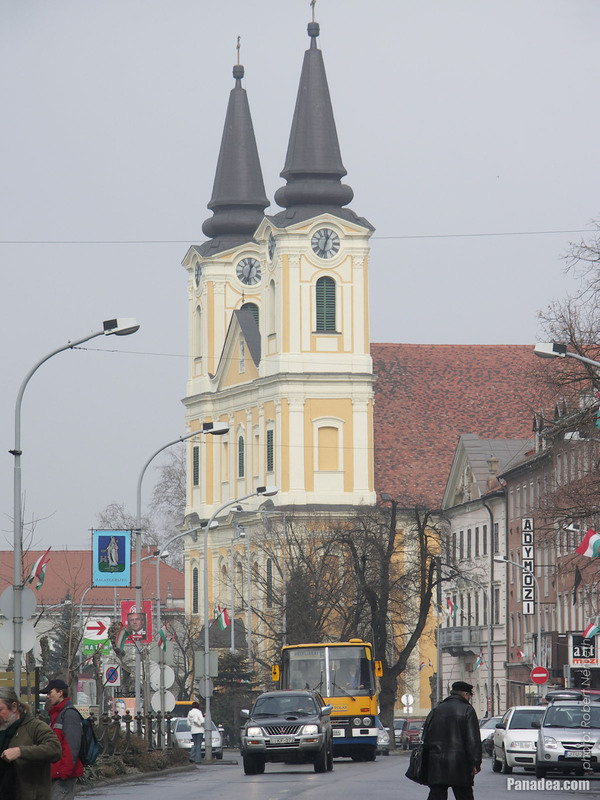 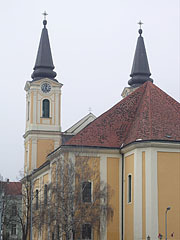 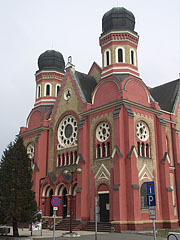 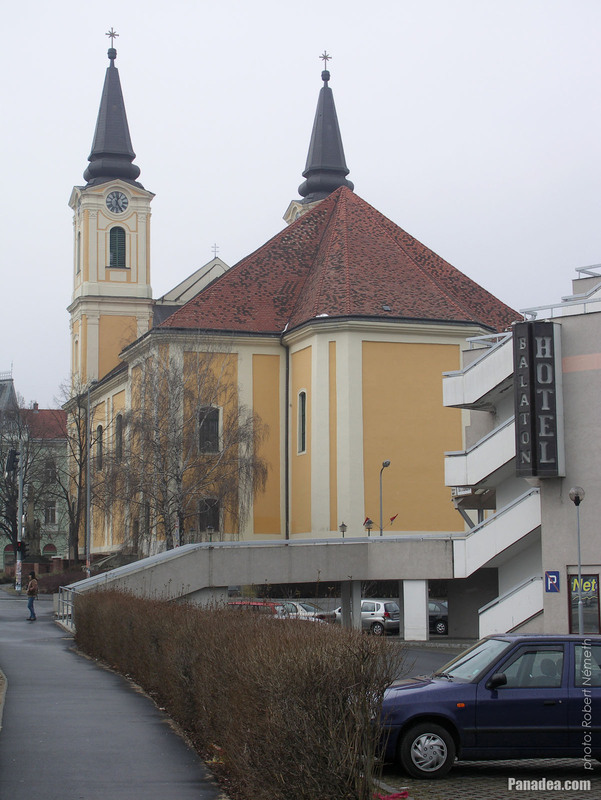 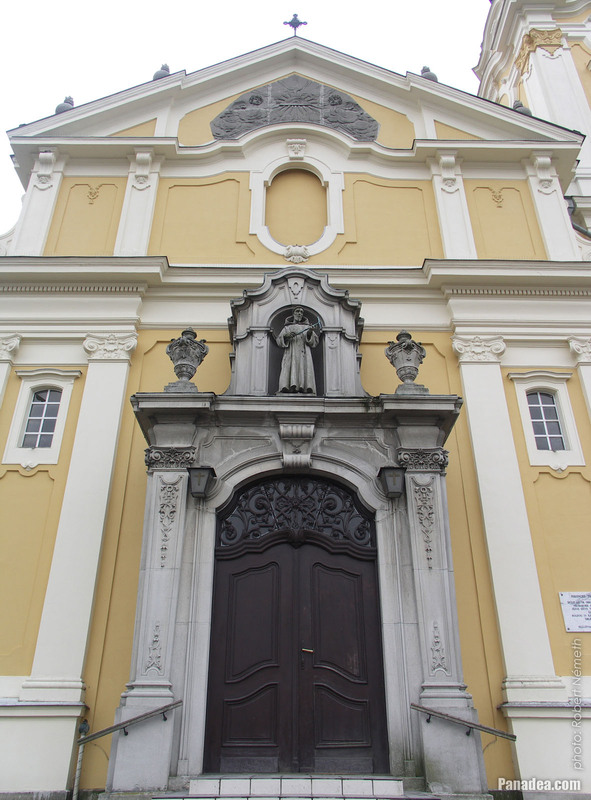 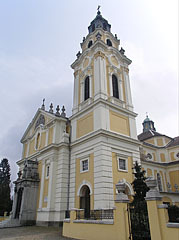 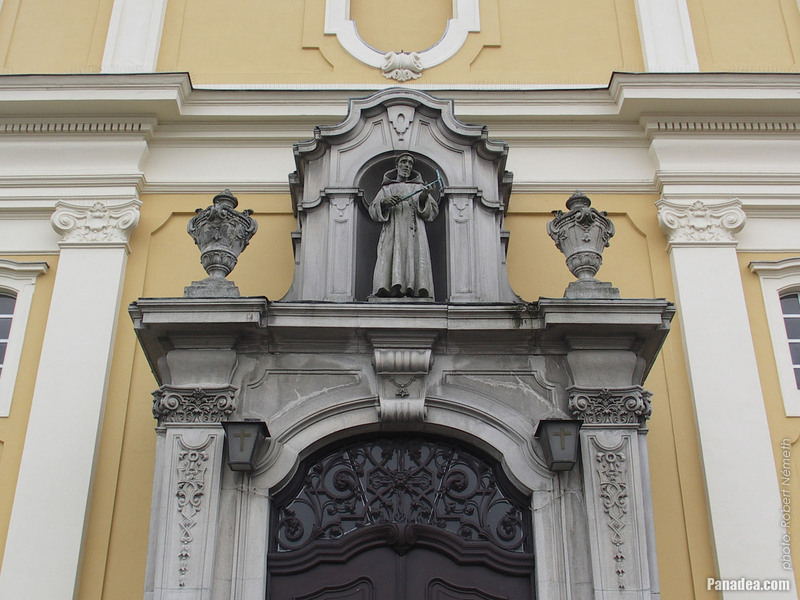 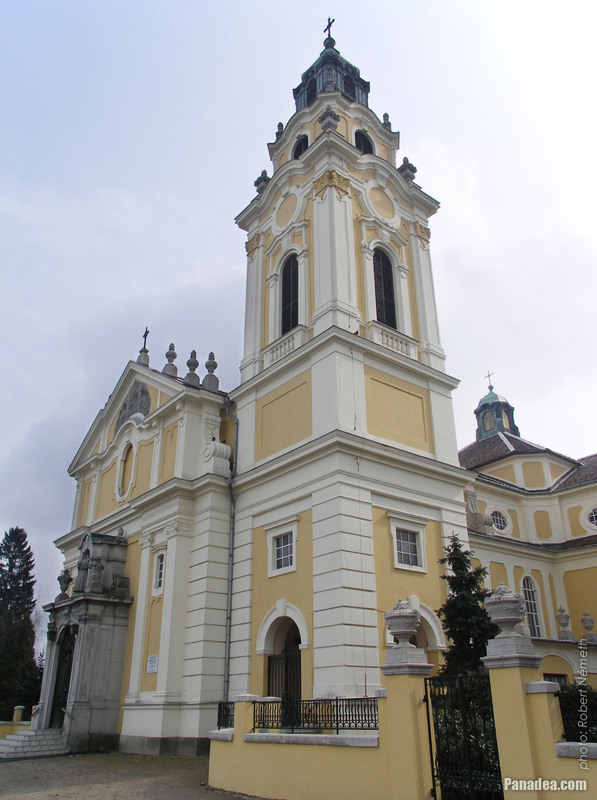 The church was built in 1906, architect: Ernő Gerei. 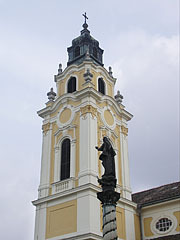 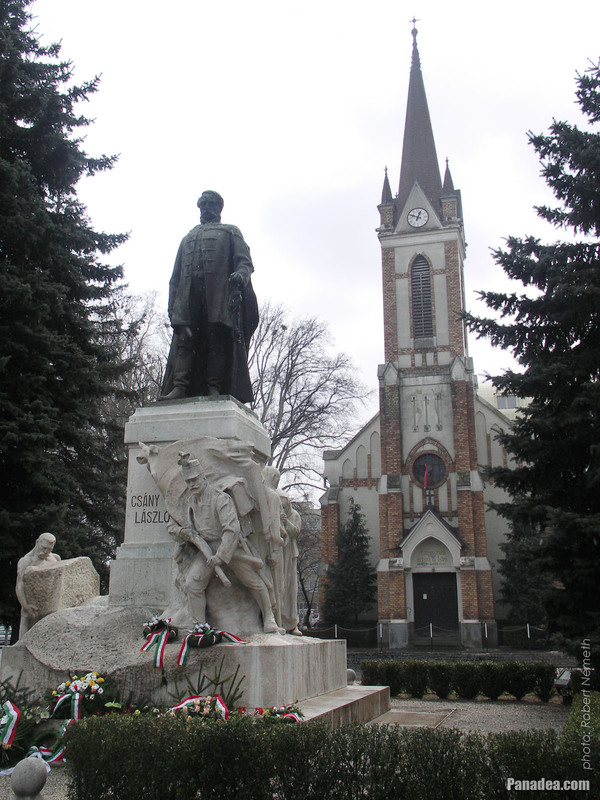 The statue is created by János Istók in 1931. 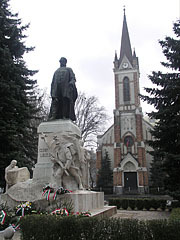 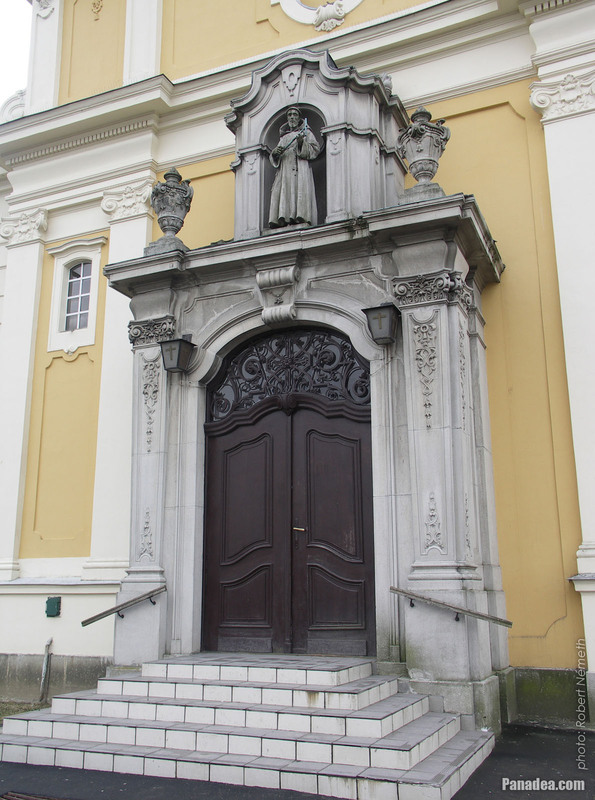 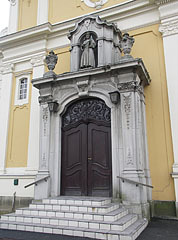 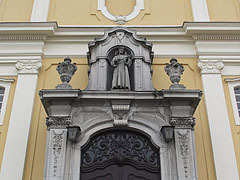 The sculpture was created by Lajos Visnyovszky in 1927. The steeple (tower) is somewhat unusually built to the side of the nave (the main hall) and not in front of it. 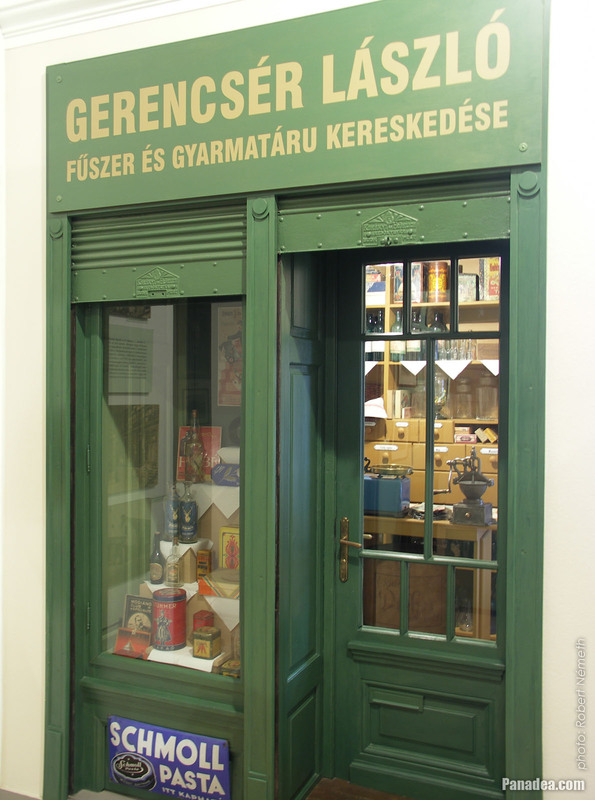 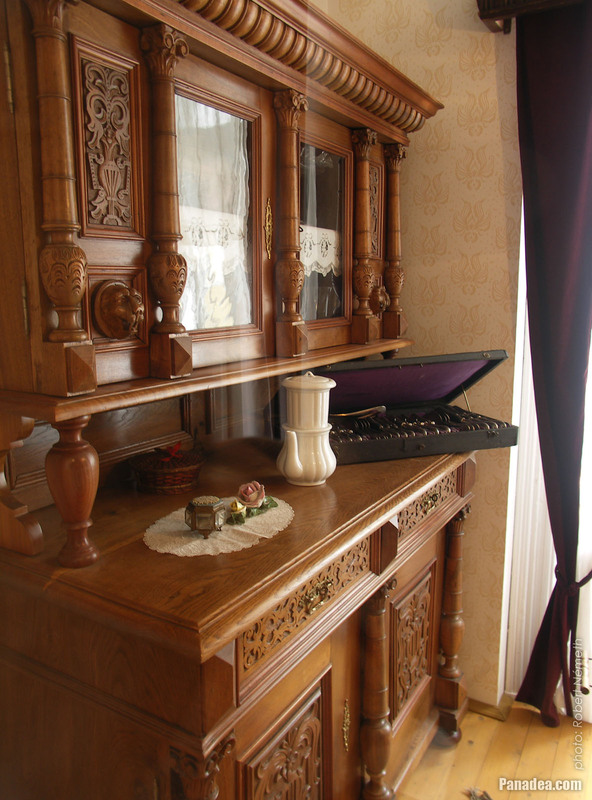 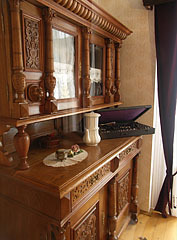 The sideboard or cupboard was manufactured by Lajos Pintér carpenter in 1905. 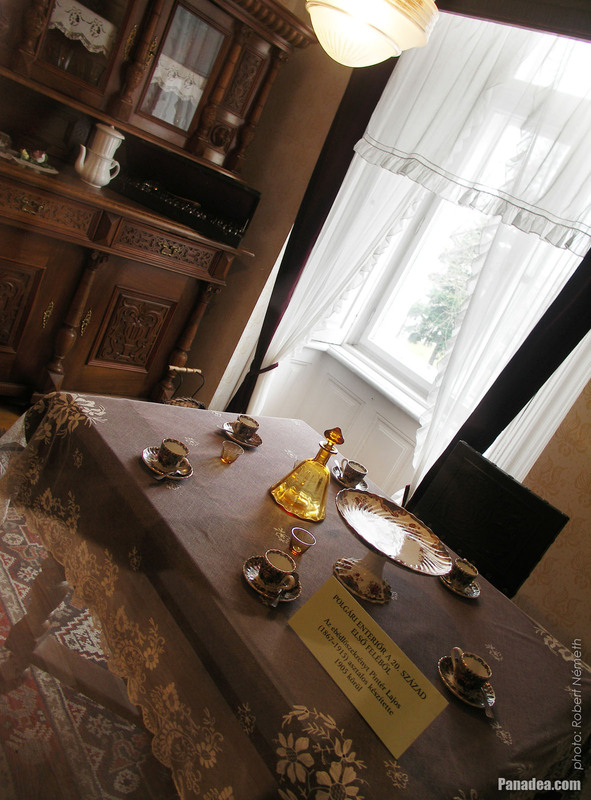 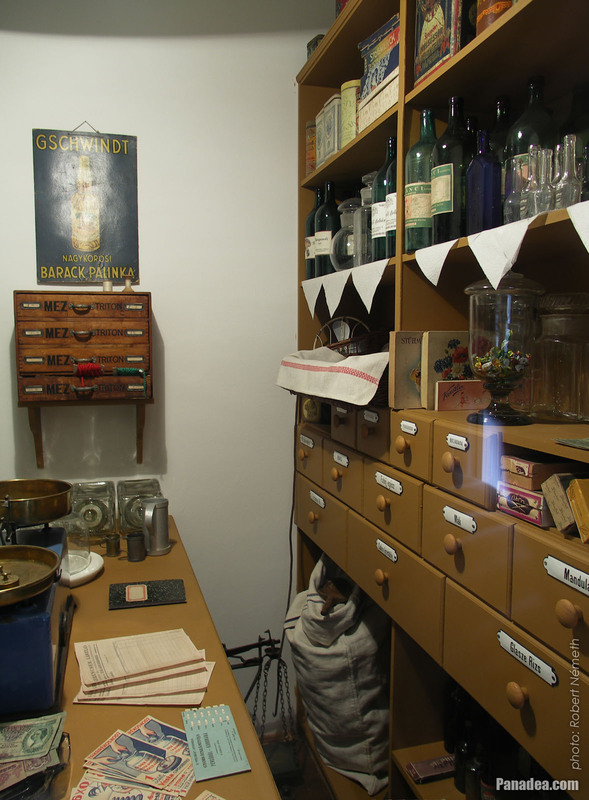 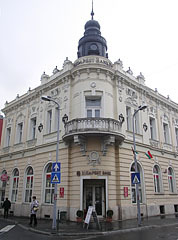 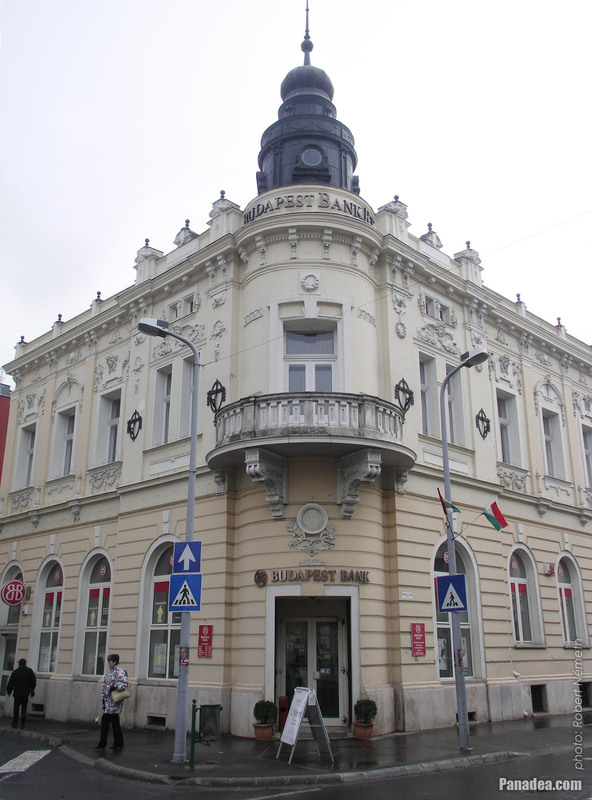 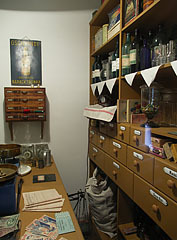 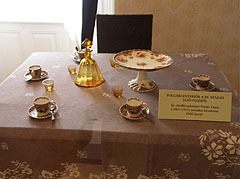 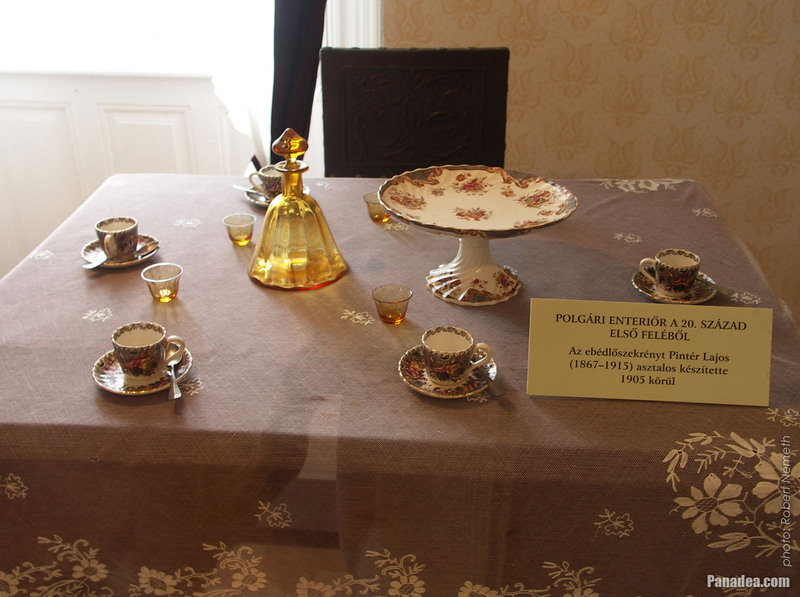 The salon of István Bita and his father was operated between 1920-1992. 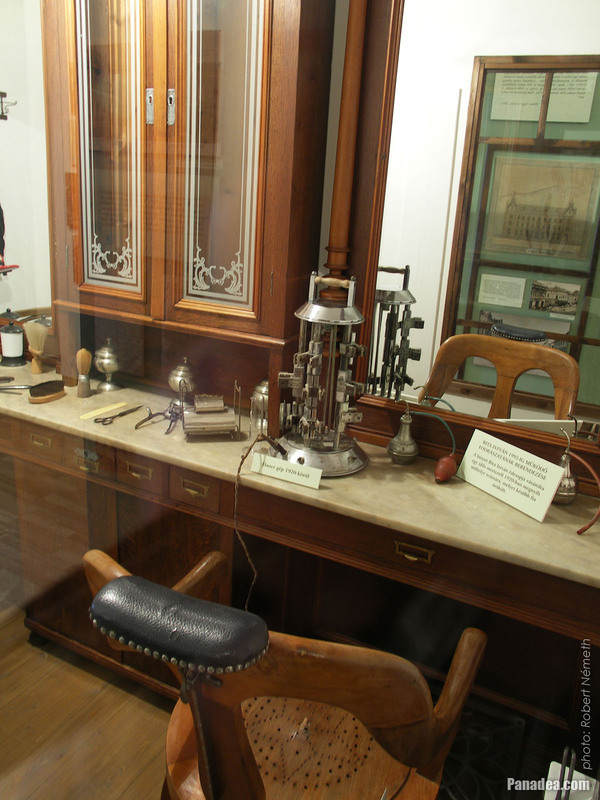 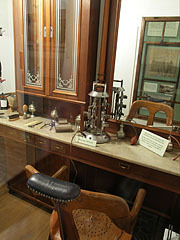 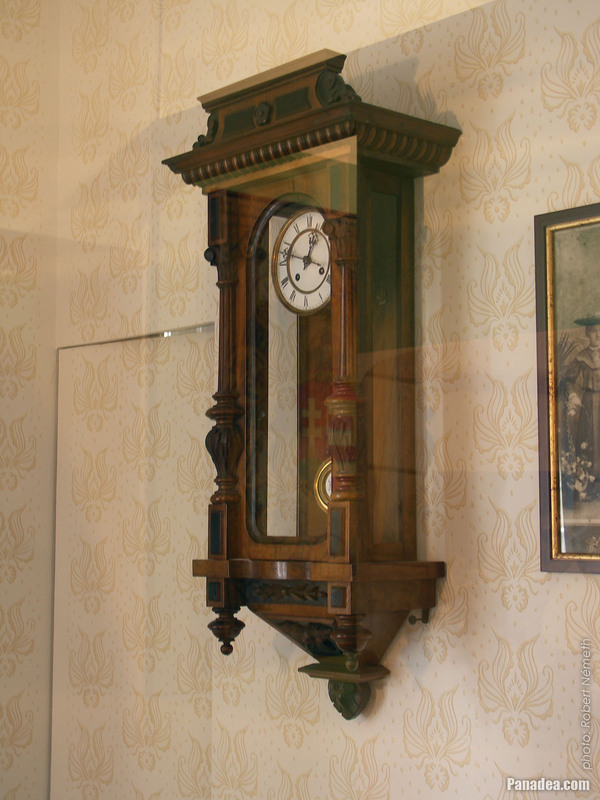 Both the furniture and the tools are from around 1920.